Trinidad Gonzales earned his doctorate from the University of Houston and received a Center for Mexican American Studies Graduate Fellowship and a Smithsonian Predoctoral Fellowship. 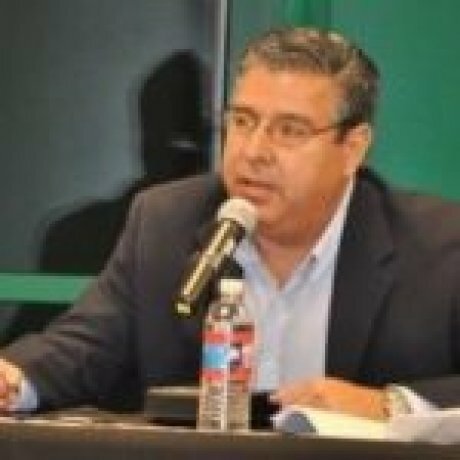 Gonzales is currently a professor of History at South Texas College. His areas of research include Borderlands, Chicana/o, and Civil Rights histories, specializing in early 20th century Lower Rio Grande Valley history. Gonzales’ most recent publication is “The Mexican Revolution, Revolución de Texas, Matanza de 1915,” in War Along the Border: The Mexican Revolution and Tejano Communities, edited by Arnoldo de León and published in 2012.
Review of The Great Call-Up: The Guard, the Border, and the Mexican Revolution by Charles H. Harris III, Louis R. Sadler. Journal of Southern History. 82.1 (February 2016): 203-204.
Review of Mexicans in the Making of America by Neil Foley. Southwestern Historical Quarterly. 119.1 (July 2015): 96-97.
Review of The Plan de San Diego: Tejano Rebellion, Mexican Intrigue by Charles H. Harris III, Louis R. Sadler. Southwestern Historical Quarterly. 118.1 (July 2014): 93-94.
Review of Chicano Education in the Era of Segregation by Gilbert G. Gonzalez. History of Education Quarterly 53.4 (November 2013): 469-471. “The Mexican Revolution, Revolución de Texas, and Matanza de 1915.” In War Along the Border: The Mexican Revolution and Tejano Communities. Ed. Arnoldo de León. College Station: Texas A&M UP, 2012. “Conquest, Colonization, and Borderland Identities: The World of Ethnic Mexicans in the Lower Rio Grande Valley, 1900-1930.” In Hybrid Identities: Theoretical and Empirical Examinations. Eds. Keri E. Iyall Smith and Patricia Leavy. Leiden: Brill, 2008.
Review of A Law for the Lion: A Tale of Crime and Injustice in the Borderlands by Beatriz de la Garza. International Criminal Justice Review 16.3 (December 2006): 235-236.